Meet a few of the ever-growing number of dancers who shake a shimmy with Eve! We'd love to dance with you! 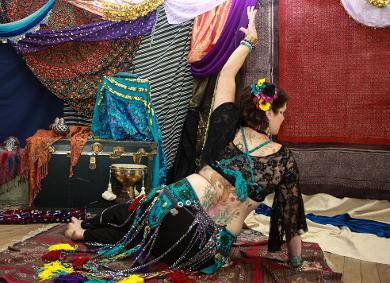 I began belly dance in 2004 when a friend of mine began teaching. There was a small class, and I stuck with it for a few years. We never performed, but that was ok. 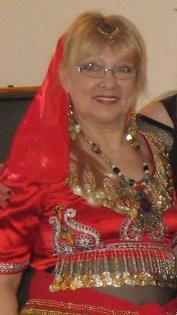 I just had fun dancing and learning several moves as well as dancing with veils and zills. My friend moved away a few years later, and so I stopped for the time being. 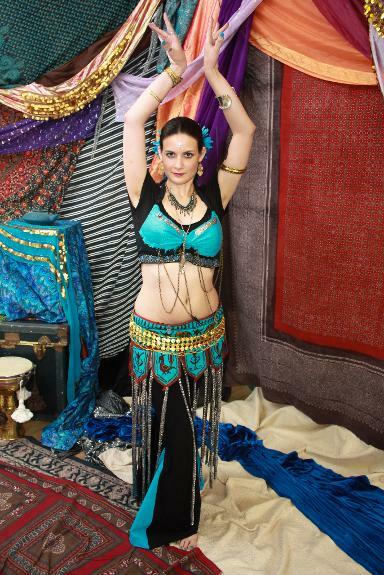 After a while, which was in September of 2015, I felt I needed to get out more often, and also decided to try belly dance again, so I did a quick google search and the first place I found was the Eve Tribal Belly Dance Troupe and decided to try them out. 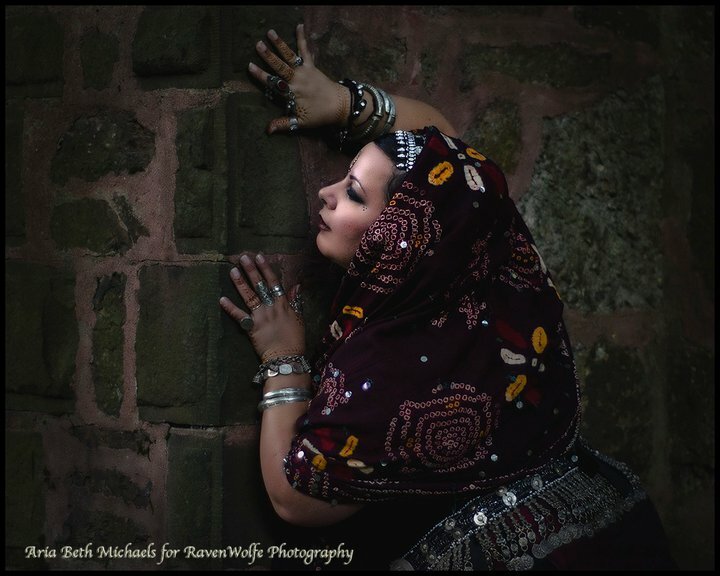 I discovered a fantastic group of women from a variety of backgrounds who loved belly dance and put no pressure on ability while I worked up the confidence to perform. Here, I learned a lot of new moves. I also learned I really like performing in front of an audience, even if I screw up a bit – the energy of being on stage is pretty awesome. I also learned I really like swords. Swords are cool. I have been belly dancing since 2003. 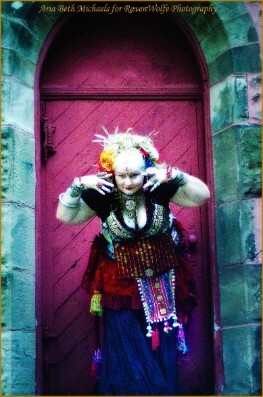 In 2010 my focus in cabaret shifted to include tribal and a bit of fusion. I've since fallen all the way into the tribal-fusion rabbit hole and couldn't be happier to have found this amazing tribe of supportive women to dance with. 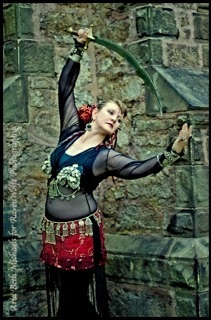 I've danced with: veil, skirt, scarves, zills, tambourine, candles, cane, and sword, and I've done a bit of drumming. My favorite though, by far, is slithering around with a heavy sword! 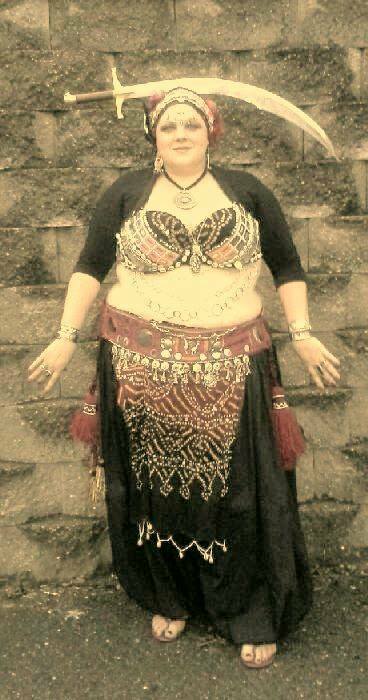 Another reason I love belly dance is for the huge dose of body confidence it gives me. No matter our size or shape or level of ability; this group of encouraging and supportive women helps each of us to become more comfortable in our own skins. 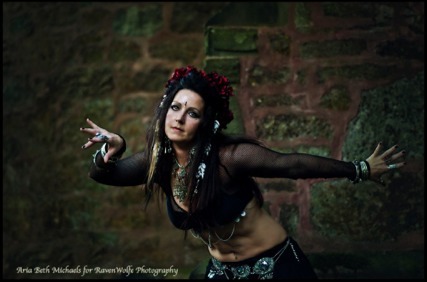 In this world there are so many who are eager to sell us on the many ways in which we are “Not Enough”, belly dance helps me to find my strength and instead confidently respond: SCREW THAT! We are blessed to have these magnificently talented, skilled, and ever-patient dancers helping to guide us all in learning new moves, new choreography, and new techniques to improve upon our existing methods to make us all better dancers and better performers! 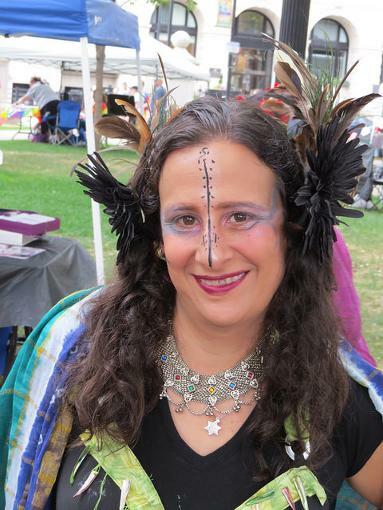 I'm a founding member of Eve and I've been bellydancing since my ballet class closed in 1994. 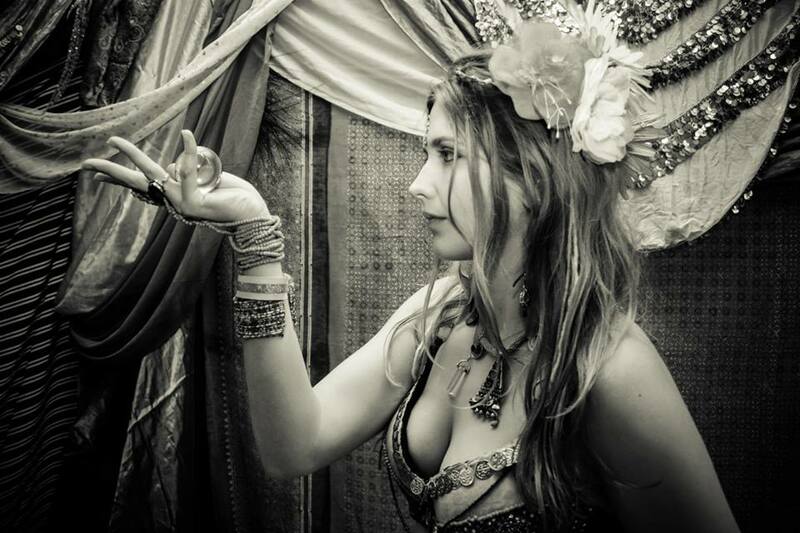 I fell in love with the fluid movement, power and grace that bellydance offers every woman. 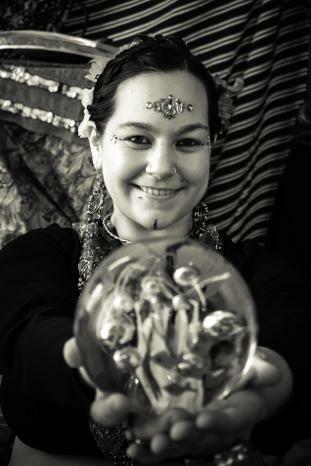 Since then, I've danced with many local troupes including the Hippy Chix, Bad Raqs San'i Sara, Primal Redemption, Ambika, Eve and Isis. 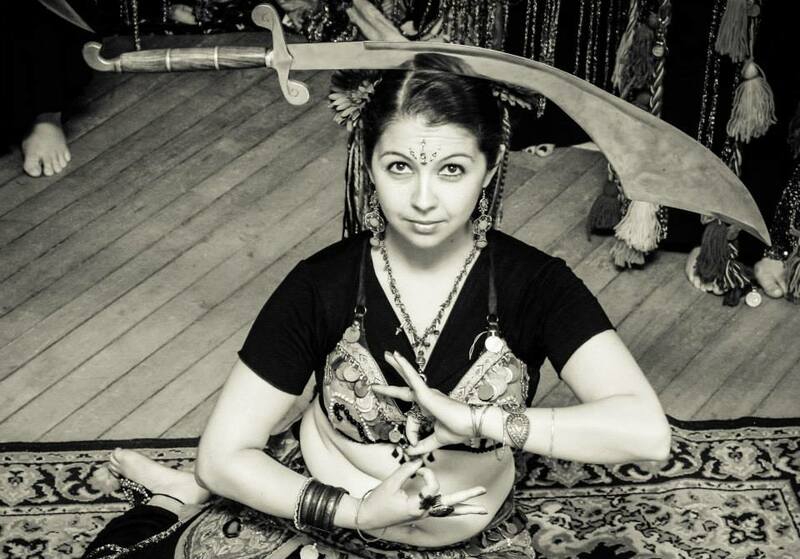 I love sword dancing and I groove on the exotic zen of balancing 20 lbs. of gilded scimitars in a smoking, full on ecstasy shimmy! I've danced on a glacier in Iceland, in the Grand Bazaar in Istanbul, and on the prow of a garbage scow in Poland, but my favorite place to dance is with Eve. 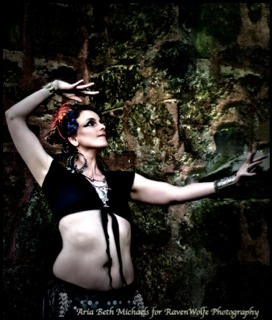 No matter where I dance, I glow with the fun, serenity and joyous sensuality that is belly dance. I joined classes and began dancing with the ladies of Eve in the summer of 2012. 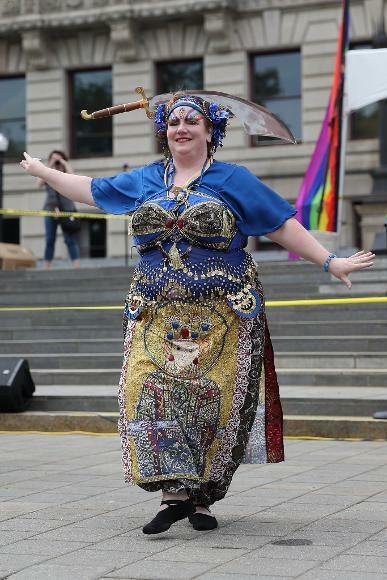 I have loved music and dance for my entire life, but my prior experience is much more regimented than the fluidity and flexibility represented in tribal belly dance. 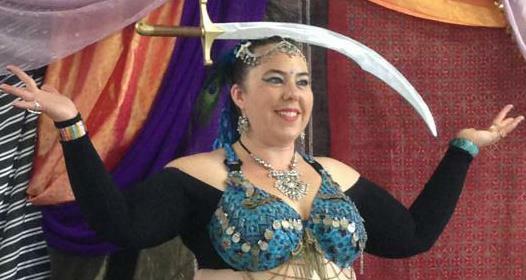 I never could have imagined the confidence, power, and grace that belly dancing would provide for me! My interests outside of dance include a long history in martial arts, raising my family, swimming, reading, and chasing around my three small dogs. I have also become quickly obsessed with costuming! We have been so lucky to have been graced by the presence of some remarkable women, awesome friends and spectacular dancers. We miss you! Here are some friends we love and miss!